The death toll in this year’s Bihar floods rose to 253, with 51 deaths reported in seven out of the 20 affected districts in a single day. 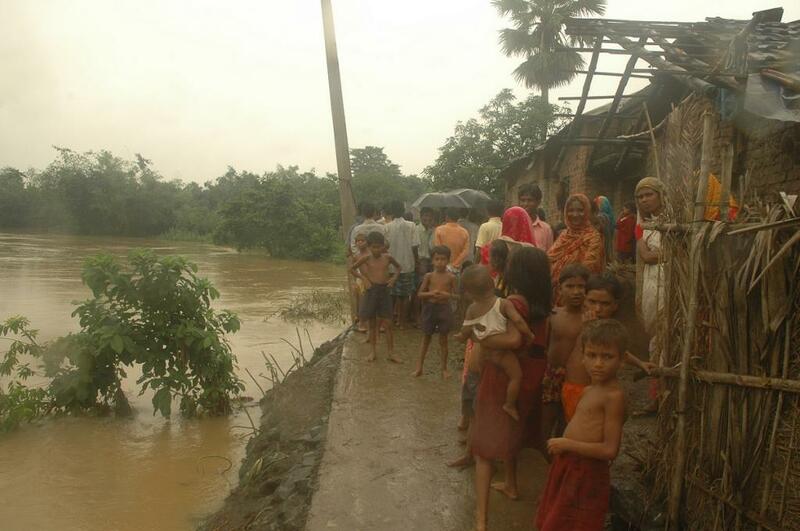 The flood has already rendered 1.26 crore people homeless. Like last year, major rivers flowing through the state are in a spate, affecting hundreds and thousands of people. Araria district alone accounted for 57 deaths. Apart from Sitamarhi (31), West Champaran (29), Katihar (23) and East Champaran (19) districts, 13 deaths each were reported from Madhubani, Supaul and Madhepura districts. All these districts in northern Bihar, which have been reportedly affected by the worst flood in four decades, share their borders with Nepal. Heavy rainfall in the catchment areas of Nepal worsened the flood situation in the state. In fact, history of floods in Bihar from 1998 to 2012 shows how strong discharges of water due to heavy rains in the catchment areas of Nepal created a strong pressure on the river embankments in India. River Kosi, which originates in Nepal, has time and again caused floods in Bihar, including the major one in 2008 that displaced 3.30 million people and one million cattle in Kosi and Saharsa divisions. This year, too, fear of fresh flood lingers with heavy rainfall predicted in the Terai region of Nepal and the Kosi region. The recently released report of the Comptroller and Auditor General of India (CAG) on Schemes for Flood Control and Flood Forecasting, which looked at the River Management Activities and Works related to Border Areas (RMABA) projects, observed, "There were huge delays in completion of RMABA projects which were long-term solutions for the flood problems of Assam, North Bihar and Eastern Uttar Pradesh." Kosi High Dam project is one of them. Almost 26 years have passed (1991) since India and Nepal reached at an understanding to take up joint investigations of the project and prepare a detailed project report, but the work is still in progress. Major rivers, including the Kosi, Mahananda, Gandak, Bagmati and Ganga are in spate and some of them have breached embankments. These are among the 301 rivers that come under 11 Ganga basin states. In 2015-16, the Central Water Commission (CWC) awarded works relating to morphological studies of only 15 rivers, to be completed in two years. The CAG audit has found that out of these 15 rivers, morphological studies of only eight rivers was taken up. In the absence of morphological studies, the report notes, "planning, building, renovating and maintaining revetments, spurs and embankments to prevent loss of land due to erosion, could not be ensured". On Monday, River Mahananda breached its embankment near Minapur village in Purnia district, inundating several other villages. In its audit, the CAG identified safety issue in one of the embankments along the course of Mahananda in the neighbouring Katihar district. It found that brick soling work was damaged at few places and the embankment itself was found to be breached between 25 and 26 km (about 223 m). Despite being inundated by overflowing rivers every year, Bihar, like many other states, delayed approval of flood management projects sometimes for up to six years, according to the CAG report. These issues partly explain why Bihar was once again caught napping, appearing unprepared to deal with flood.